Monte Carlo Yachts announces its new 30-meter, the latest expression of the renowned MCY design and identity. DÜSSELDORF, 22 JANUARY, 2017. Monte Carlo Yachts has announced the development of the new MCY 96, an almost 30 meter yacht that both further develops the MCY "Future Classic" design philosophy and technical specifications and boosts the company's collection through a unique vessel with superyacht scope and defining traits. 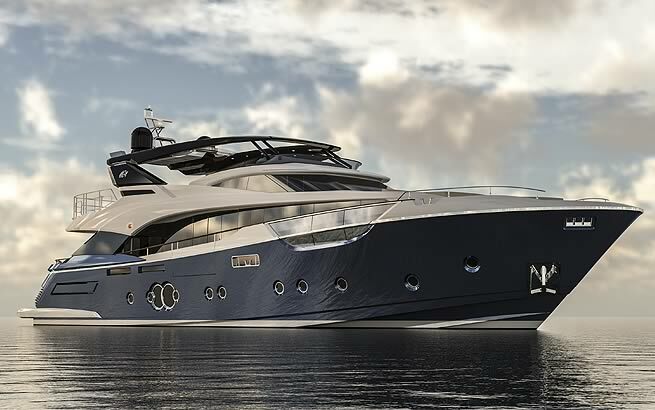 The new MCY 96 has been designed according to the highest standards on the market and complies with RINA Pleasure or RINA Charter Class certifications. Upon request, the new model can also be certified according to CE-A category standards to be utilized as a pleasure boat or according to MCA MGN 280. The possibility to choose the preferred type of certification represents a quite unique feature and a highly significant added value for the owner. "The new MCY 96 represents both continuity and evolution for the MCY collection and the company," says Carla Demaria, President of Monte Carlo Yachts. "The great international success and global appeal of the MCY 105 has guided us in developing the MCY 96, which will set new standards and mark a new era of growth in the superyacht segment for Monte Carlo Yachts." Fabrizio Iarrera, Managing Director of Monte Carlo Yachts, adds "Even if still not officially presented to the public, the MCY 96 is proving to be a highly appreciated yacht by our owners worldwide. The first three units have been already sold and this makes us proud and confident that the new model will be a great hit, following its official presentation next summer." The design of the MCY 96 was once again entrusted to Nuvolari Lenard. The firm's development of the MCY collection's "Future Classic" award-winning design philosophy shines throughout every nuance and detail of Monte Carlo Yacht's and maximizes key concepts and contents to achieve unprecedented results in its category. The yacht stands out for its smooth lines, high bow and deceptively low profile that confer its external profile a timeless, contemporary allure that is the natural evolution of the iconic MCY lines while keeping a coherent consistency with the rest of the collection. 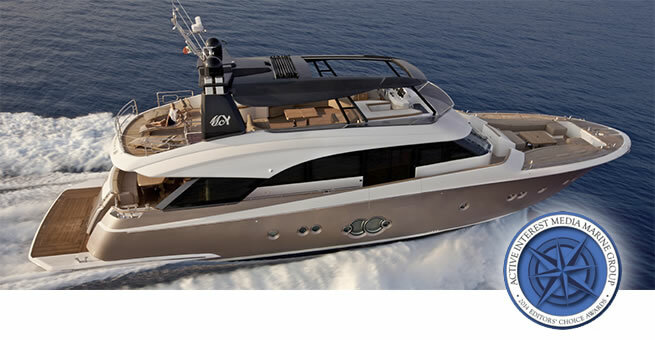 Monte Carlo Yachts will present the new MCY 96 at an exclusive, invitation-only event in July before showcasing it at the Cannes, Monaco and Genova yachting festivals. Contact Sunbird International Motor Yachts for more information or to reserve your place at this invitation only event. Beneteau introduce the first model of a new luxury range, the Oceanis Yacht 62. Aimed at extending it`s world leading cruising boat range into the larger yacht market and also bridging into the style and luxury of the superyacht approach to yachting. Strong hints are given that the Oceanis Yacht 62 is the start of a new large yacht range for Beneteau and that there will be more to follow..
Oceanis range is generously proportioned and has a racy profile. It will soon be on show to the Nautic boat show visitors from 5 to 13 December. 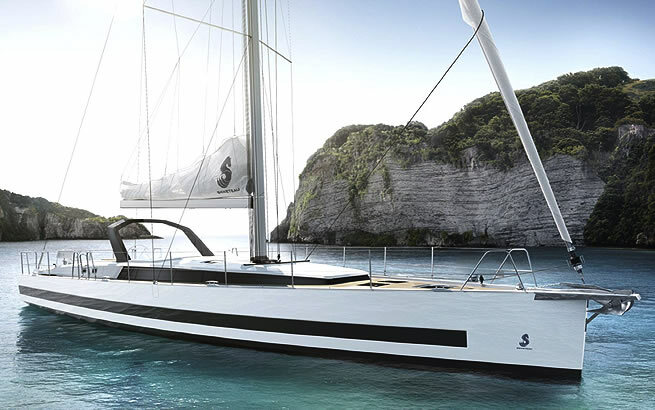 The Oceanis 41.1 is the new sailing yacht eagerly awaited by sailors keen on performance and safety: the sa,1 plan and mast repositioned further aft, combined with the Finot­Conq hull. means that she has seakeeping and performance second to none. Offered for Spring 2016 delivery is the new Style Limited Edition Oceanis 41. With the Style Edition Pack making the spring deliveries for the new year the best time to buy the most sophisticated version of the hugely popular Oceanis 41 – call the Sunbird team for details. Contact a member of the Sunbird team for more information. Feeling sporty? There`s a new Performance Pack option for your Oceanis. As a perfect complement to Beneteau`s chined, cruising high performance hulls, why not add a little zip to cruising with high performance sail cloths? A Performance Pack and add a Code Zero to eat up the miles. The easiest, fastest cruising you could dream for. Beneteau announce their line up of new features and choices for 2016. 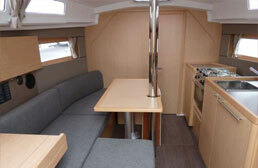 In response to client feedback Beneteau are introducing new interior furniture choices. The exciting new Oceanis 35 and 38 will become standard with the ever popular Alpi Mahogany furniture and the entire Oceanis range will be offered with a choice of Alpi light / satin Oak furniture, transforming the interior ambience. 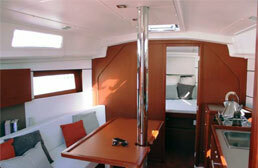 Thinking of a new boat for those hot, sunny days at sea why not check out the feeling of the light oak interiors. Alpi Mahogany, white padding, PVC Dolaro white upholstery / Alpi Mahogany, capitonnage blanc, sellerie PVC Dolaro white. Sunbird International Motor Yachts are proud to announce the signing of the UK distribution contract with Monte Carlo Yachts S.p.A. 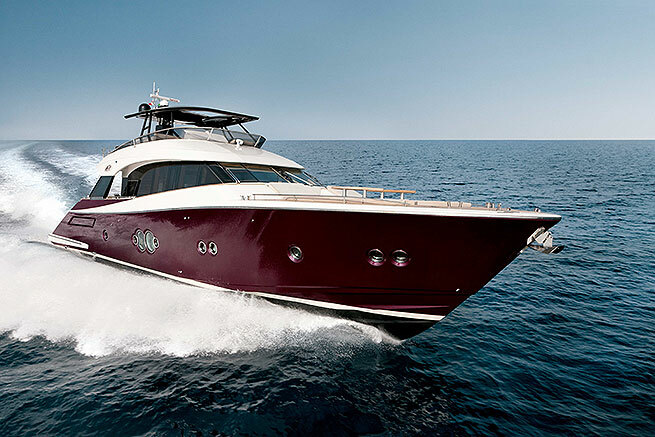 Established by Groupe Beneteau as their exclusive motor yachts division for yachts above 60 ft, Monte Carlo Yachts, based in Monfalcone, Italy combine Italian design, flair and build quality with the production efficiency and manufacturing innovation of the world's largest leisure boat builders. 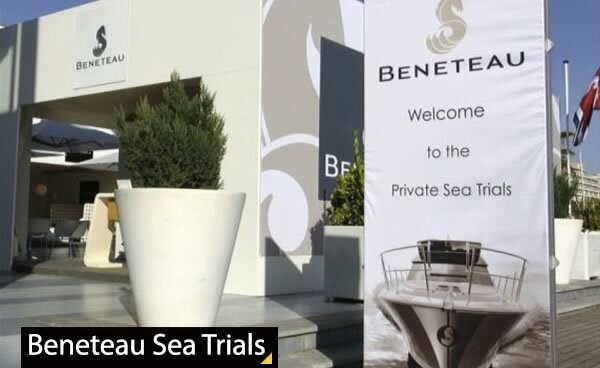 Sunbird International Yacht Sales and Beneteau welcome you to the 2014 Beneteau Private Sea Trials hosted in Palma de Mallorca. Beneteau will be hosting their annual private client power and sail sea trials on the latest new models, from the 12th to the 20th April based in Palma, the hub of yachting in the western Mediterranean. The "European Yacht & Powerboat of the Year" awards were attributed on Saturday 18 January, at the opening of the Düsseldorf boat show. BENETEAU did not walk away with just one prize, but two! The verdict fell on Saturday evening in Düsseldorf, during the official awards evening for the most innovative boats of the year. Before an audience of over 400 guests, the jury bringing together the editors of the main magazines of the European specialized press, elected the Oceanis 38 in the "Family Cruiser" category. SUNBIRD AND BENETEAU - At the Paris Boat Show. What could be better than a trip to Paris in the run up to Christmas and combine that with a visit to the Paris Boat Show and thoughts of sunshine, warm seas and the boating season ahead. Beneteau at their home show of course host their largest displays, so why not join Sunbird and Beneteau at the Paris Boat Show for the first weekend dates of December 6th, 7th and 8th. 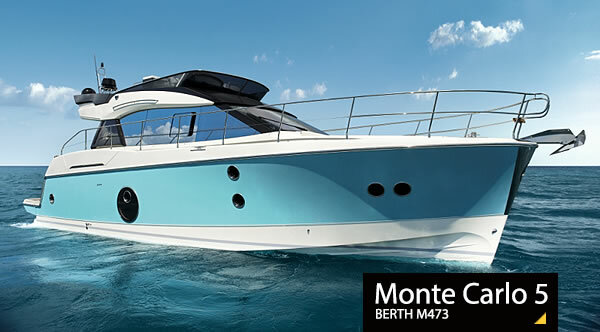 Sunbird are pleased to release the first images of the exciting new addition to the Monte Carlo range, the New Beneteau MC 4. Click here for more information and specifications. 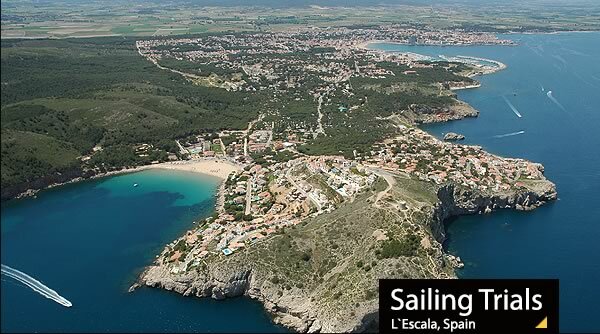 Sunbird together with Beneteau Premium Service welcome you to the new yachts and powerboat sailing festival, to be held at L'Escala in Spain's beautiful Bay of Roses on the Costa Brava coast north of Barcelona. Beneteau will again be hosting sea trials on their latest new models and this year the event will be held over an extended period to make diary bookings more accessible. So why not join us to try Beneteau's newest yachts and powerboats in the warm waters of the Mediterranean, between the dates of October 5th to November 15th. 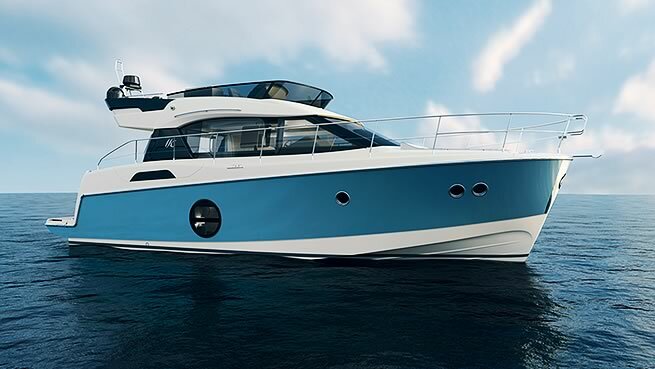 The Southampton Boat Show has usually been the venue for Beneteau to launch their latest new models and this year is no exception to that. 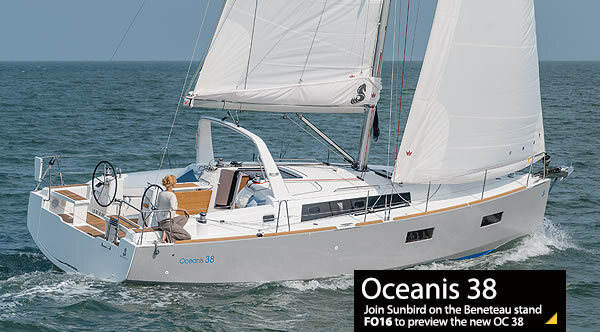 So we are delighted to present the all new Oceanis 38 and the UK premiere of the Oceanis 55. The Oceanis 38 is a brand new concept from Beneteau, not one boat but three. A yacht conceived to fit and evolve with you, adapting to the different stages of life and your lifestyle. With a unique modular approach; daysailer, weekender or cruiser it`s your choice. Change your layout, modify your boat in the future – no problem..
After a great summer for boating Southampton Boat Show is once again just around the corner, dates 13th – 22nd September. This year the Sunbird team will be powering into Southampton presenting Beneteau Power and Greenline Hybrid.